Luxury features set it apart. 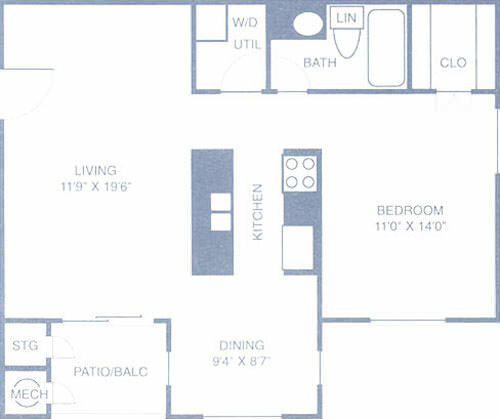 Our one-bedroom residences are 700 square feet and rich in amenities. Each unit offers a fully-applianced kitchen, a separate utility room with a washer and dryer and your own patio or balcony. A great combination of space and comfort. 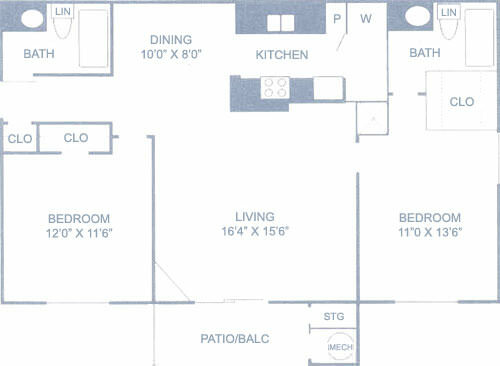 Our traditional plan offers 1,000 square feet of luxury. Each residence features a fully-applianced kitchen, two full baths and a bright open floor plan. 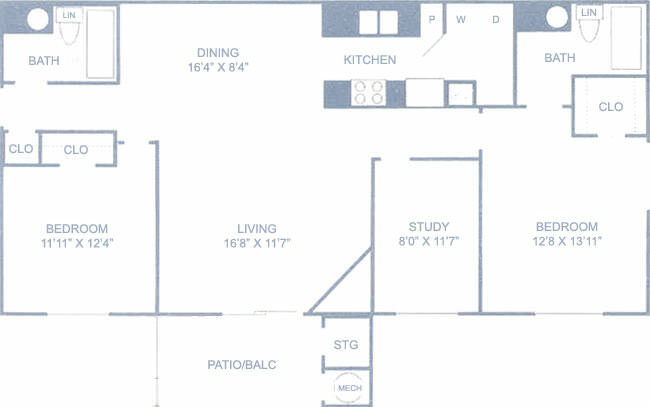 Our larger plan of 1,225 square feet includes expanded living space and an additional room to be utilized as a home office or den.